Home / Smart Skills / Nasty Boss giving you a Tough Time!! One would be surprised to know the number of people visiting astrologists & numerologists; just because their supervisors or managers have been giving them a tough time at work! Hopefully you are not one of them !! A nasty boss can be a real pain for obvious reasons. For starters, the distraction caused due to unwarranted stress and trauma associated with dealing with a difficult boss can really spiral down an individual’s performance. If you find yourself stuck in a similar situation as above, we suggest you do the following to re-claim your emotional control and mental poise. 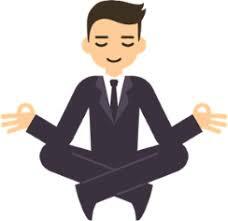 1) Practice “selective” mindfulness – J. Krishnamurti, the great Indian philosopher & spiritual teacher shared his secret potion of ‘selective mindfulness’ with people across the globe. He simply followed the cool mantra, “I don’t mind what happens”. Incorporating this kind of mindfulness at work can be a game changer. It drastically lowers stress levels, which is critical when dealing with a difficult boss. Also, practice focusing on the present moment. This means not dwelling on what your boss said to you yesterday, or worrying about what he or she might say tomorrow. Focusing on your breathing by taking a few conscious breaths every now and then can help you heal, with an inner transformation that can be quite liberating. 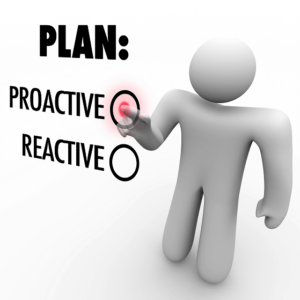 2) Be proactive- Understand why your boss does or care about certain things. This can give you an insight into his or her management style. Many times, we end up assuming that the boss dislikes us because of certain past situations. 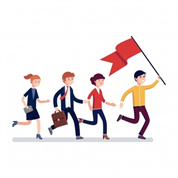 Becoming aware that the boss is here to manage not just you but has an entire team under his or her watch can help you develop an empathetic streak towards his or her reactions. 3) `Break “The Boss knows it all Myth”-Just because someone has a managerial title doesn’t mean that they have all the right answers, all the time. You may be smarter or more effective in doing the same work as your boss, but for some sheer stroke of luck – you are the one reporting into him or her. So, break the myth that they know it all and radiate confidence in all your dealings with him or her. They are definitely not insane, well that’s established because your employer has deployed them in a responsibility role. Many times, simply observing what are the trigger points for your boss’s meltdowns can go a long way in resolving the problems. Be vigilant and avoid those behaviors or situations which are sure to make your boss go crazy. When dealing with an incompetent boss, sometimes it’s best to make some leadership decisions on your own. If you know your area well enough, it is good enough reason for you to push forward and achieve good results for your company. People who do this are naturally followed by their peers as an informal leader. Management, although maybe not your direct boss, will notice your initiative. Of course, you don’t want to do something that undermines the boss, so keep him or her in the loop. 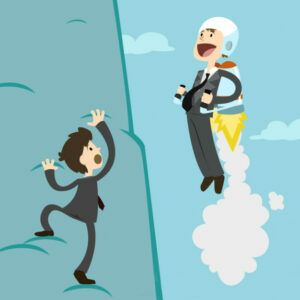 6) Derive the Best Possible from the situation– A tough boss can actually be a great opportunity. You’ll work that much harder, be that much more on your game. And you’ll probably get lots more done. You’ll also figure out what you are (and aren’t) looking for in your next boss, so you can make a more informed career decision when you next venture into the job market. Try to focus on the positive aspects of this challenging situation, and you’ll be able to use this one tough boss to better your whole career. Whatever may happen, you must ensure that you do not allow the boss dynamics come in the way of you giving your best possible productivity at work – And the motivation for doing so is something that you need to pull out from within you. No amount of bad mouthing, gossiping, emotional meltdowns etc., will help either you or your situation. Yes an occasional venting out of how and what you feel to an outside office friend or a family member is definitely advisable, but ‘sharing within the office’ – is a complete no-no. Simple techniques like this will help you stay cool and maintain a clear head! However if after all attempts, you do not foresee things getting any better for you – don’t lose heart or hope. Brush up your resume and go exploring the market for a better opportunity. But make sure this time around you do your homework pretty well to be prepared with what your next boss has in store for you! The sensible folks out there have learnt to outgrow the drama ensuing from a dysfunctional boss- subordinate relationship. For they have realized that in the infinity of life that they are, this is just one of the innumerable relationships or life situations that they need to be a part of. We surely hope, for you sanity and your boss’s; that this wisdom has already dawned upon your being through this blog! If not, still we insist that you- Keep Smiling & Keep Trending!! Previous Pseudo Colleagues Driving You “Up the Wall”? – Chillax, Team Kanakkupillai is at your rescue!! Next How do you rate on your Emotional Quotient Skill?